Country Heat Workout DVD follows Beachbody’s dance theme. However, Beachbody has moved from hip hop to country music. Furthermore, Beachbody has switched from high-intensity sweat fests to dance. Why the move? After all, The loyal customer based thrived off the high-intensity workouts. Well, to be the market leaders you have to innovate and take risks. the last risk with Cize Dance paid off big time. In fact, Cize was immense in its own right. Not only did it bring fun and exercise together it also bonded families. Can Country Heat Workout DVD do the same? Another unexpected turn is Beach Body favourite Shaun T, who everyone has come to love and know as a household name WON’T be on this DVD, during this review I am going to find out if this coach can match Shaun T’s passion, enthusiasm and pure grit! This time around its Autumn Calabrese, you may know her from the 21-day fix, if you don’t know her keep reading to find out what she can bring to the table. Before we get into the review I want to offer you a chance to follow a powerful motivator. Someone who has walked in your shoes. Also a great inspiration to me and many others around the globe. I personally want to thank her for letting me in on some backstage info. Alida Steele is a Beach Body Coach. Who, in her spare time takes to social media to upload extremely personal and close to the heart videos as well as training videos. I haven’t met her personally. However, she has never failed to reply back to me and is always talking with her fans, She does so much and asks for nothing in return, Alida is so passionate about other people’s well-being and fitness if you do want to follow her check her page out on Facebook. Let’s get down to business and find out if Country Heat will leave you out in the cold or firing up your metabolism, so far Beach Body hasn’t disappointed but will Country Heat? What Is Country Heat Workout DVD? This Workout DVD is led by Autumn Calabrese, a professional dancer and fitness trainer, you can be sure you’re going to get an exhilarating fun workout that everyone can do, from young to old. You may have guessed by the title that this is going to be country dancing, not just country dancing but dancing to something you more than likely heard on the radio, all tracks are hand picked by autumn herself and matched the beats to the moves you will be doing. This simple to follow 30-day workout will tone your whole body through interval training from slow beats to faster beats making sure your metabolism is truly fired up to maximise calorie burn. If complicated choreography puts you off dance DVD’s then you have no need to worry, Autumn makes it easy by teaching you two steps at a time. Dancing away to the hottest country songs for just 30 minutes will make you lose weight, tone up and feel great, work your way through 5 high energy cardio DVD’s for just 30 days. I’m super excited about the direction beach body is taking fitness with Country Heat and Cize it’s different it’s fun, and everyone can do it. Let’s face it if you’re in our generation or above then you probably have memories of your Mum, Aunt or Grandparents singing. Perhaps even dancing along to a track on the radio and that fills me with excitement I can remember travelling back from my Grandparents house every Sunday and my mum loading a cassette tape into the car stereo. For me, country music brings back memories of family time and youthism. Beach Body has tapped into this “family” theme with Cize and now Country Heat. It’s All About The Family! I have to applaud Beachbody for the “family” theme as most companies aim purely at adults and with the epidemic of obesity still rising this may be the answer. I am not saying this is aimed at kids far from it but families can bond with exercise if it’s fun. In fact, research shows that families that spend time together and exercise have a better relationship and the children perform better academically. All in all, I think country Heat is going to be a real blast and a powerful weight loss tool it’s not going to have the intensity of insanity, but it’s not meant to if that’s what you’re looking for then probably best to move on. A lot of men have said this isn’t for them; however, the ladies love it. Not to mention, there getting some great results too. I follow about 230 groups on facebook. people are posting their workouts and progress, and it looks great, it’s not just about the dancing you also get the portion control containers that will keep you in a calorie deficit plus your metabolism is going to be fired up, so you will lose weight. See below What Beach Body has to say about who is it best for. in a nutshell, it’s for everyone, doesn’t matter if you’re young, old, male or female, its fun and it works. Now it may not appeal to men as much as woman. However, you only live once so let your hair down so to speak and enjoy it…. • Anyone of any size, age, and fitness level who wants to start a fitness program. We love the way Beach Body Doesn’t disappoint. Also, how Autumn makes you forget that Shaun T isn’t leading the way. Boy, she is talented. In fact, this workout DVD is ahead by a “country” mile over other workout DVD’s. We Loved Cize. However, Country Heat Workout DVD is much better. It’s a lot more fun and you also receive Autumns 21 day fix programme. (the diet part). As a result, you will see a lot more weight loss and muscle tone. This is such a powerful workout DVD. In short, Absolutely anyone can follow Autumns easy break down of dance moves. Country Heat Workout DVD should be a part of your collection! No complicated sequenced moves just pure calorie burning fun. This seems like a very interesting fitness program. I’ve been looking for something my wife and I can enjoy together. I think this might be it. My wife loves country music and I love dancing so I think we can combine that with Country Heat and have loads of fun with each other and the children. I’m looking forward to getting started. Thanks for this excellent review! this could go along with the 3 week weight loss program nicely. not only is diet important, so is excercise. Sometimes its hard to excercise when it’s bad weather outside and you just have to stay inside, but sometimes that can be boring. I like country music so this could possibly make working out at home easier for me, half an hour would pass in no time. Combining this and the 3 week diet system you would have incredible results and body fat would defiantly diminish. Always think diet first then exercise as you cant out train a bad diet, plus with a bad diet you tend to be skiing up hill and I cant see that being enjoyable. I think country heat is big hit for lots as certainly my age was brought up on this kind of music. Thanks for writing this review on the Country Heat Workout! I’ve been a fan of BeachBody programs for a long time. I agree, Country Heat definitely takes an unexpected turn for me from Insanity and T25 (which I love). I’ve grown up dancing my entire life so it sounds like it may be right up my alley! You’ve opened my eyes to another workout program! This simple to follow 30-day workout will also helps to tone my own whole body through interval training from slow beats to faster beats making sure i got right metabolism that truly fired up to maximise calorie burn. Nice to know that choreography that might puts me off of this dance DVD, at least I no need to worry as Autumn makes it easy by teaching two steps at a time. Nice guidance with related products reviews. As with all Beachbody products they make the workouts easily to follow and if you cant keep up with the main lead such as Autumn there is always a simplifier to keep up with just look for the person next to them! I love the review, it is well explained and any music lover can relate to the fact that music moves you so the concept is perfect. The picture says coming summer 2016, is it safe to assume it is out? Being from Canada, is there anywhere that you recommend to purchase the product? I was very motivated by your post on Country Heat. I use Beach Body products, too! As long as you are moving more and eating less you are going to get results! I love your website, clean and simply. Keep up the fabulous job of helping people stay in shape! Hi Steven, You do have my interest in this workout DVD set, I love country music and am tired of going to the gym to spend an hour on the treadmill, and an hour on the weight machines in fact I have recently cut way back Ugh! I am a little confused though as to why you would add all the others to your page as I am sold on just the country thing and don’t know anything about the others. It is a very informative page though and I would buy it now if I could afford it and It were available now. I will be back! Thanks! Wanda. Hi Wanda, I am glad you have found a new interest in fitness DVD’s, going to the gym can become tedious and in-effective, especially if your just using the treadmill. You say you use the treadmill for an hour, studies show this isn’t effective training unless your aiming to do a marathon try some high-intensity workouts or TRX you will save time and see better results. I promote other products to add variation as that’s the key not every one likes DVD workouts but I am glad you do! I have always believe in eating the actual foods that is needed to stay healthy, then to take vitamins. But I can see from your article, eating foods high in protein may not be enough. I appreciate this article because it lets me know what not to take also. Life for instance beer. Eating healthy is always good and will never go out of fashion, but to really make an impact exercise is a good companion. Eating protein is a great way to lose body fat with out losing lean muscle. I think what you have here is great! I myself am currently pregnant and cant wait to push this little guy out and start working out again! (Of course dont get me wrong I am super excited to meet him) Working out just feels good! I will definitely remember your site and work out program and refer anyone I know! Congratulations!! depending how far gone you are dancing is a great way to exercise during pregnancy but remember to listen to your body and ALWAYS consult your medical practitioner before going on any exercise programme. Also you might want to give yourself adequate time to recover after the birth as it sure will take it out of. It is very interesting that this includes the entire family. In too many cases the children could benefit greatly and Mom doesn’t have to worry about someone to keep the kids while she is getting her work out. The country music used in the workout seems unique to me and i think the somewhat slower pace will keep older participants and children more engaged. Great post! Country Heat is definitely great for the family and like you say if mom doesn’t have to worry about finding child care it will work out great, not only will it save money get the whole family fit it will also improve the bond we have with our children. Iâ€™m a fan of country music and the workout DVD would be excellent. Itâ€™s wonderful to do workouts at home and have someone give inspiration like this. The pictures you put here are really quite an incentive for me. I need to get exercisingâ€¦ this is interesting. What is the price? Hi Monica, there are two different packages! The one I have linked to is the basic package and the cheapest one that retails at $66 and the deluxe package is about twice that but in all honestly you only need the basic package. Good post and product. Fitness is a big critical point these days. I personally have a different approach to fitness which requires a whole new way of thinking but not all can or are willing to make that change. I can see this being a good system because your focus in on what you’re doing and not just losing weight. That’s the key to me. Another good point about this DVD is it brings people together and creates enjoyable moments with others. Good post and I hope you are successful promoting it! I would really like to hear your approach in detail! Dancing certainly has the ability to bring people together and using as a family can work wonders for children’s academic and family bonding something this day and age is lacking. Hi Steve, thanks for the review of Country Heat workout DVD, it certainly sounds interesting to dance along with fun country music rather than conventional power dance tunes. Is it ideal for one person to practice in front of the screen, or can it be enjoyed by 2 people or more? Although the portion control boxes are for one person I guess? It inst every ones taste but it sure is something new! you can have as many people you can fit in your room as long as you have a good deal of space, there is a lot of movement involved should accommodate 2 easily enough though. The portion control tubs are for one person but you can purchase more if needed. Oh I really like Country Heat! Finally a cool exercise program that saddles up with music. I am a fan of Beach Body to begin with, and this looks fun and easy. And all the while losing weight while doing it. I am so glad I found this post, as I think this is something I can easily do at home and enjoy on top of it! oh wow that is very awesome. I have a lot of country music fan lover friends and I didn’t think there would actually something like this be out there. I always wonder if they did a research before they put this product out, like people were like: Yeah I hope some day someone comes along and makes a country music workout. So far I have only seen hiphop or techno, so why not,right? I had a friend of mine actually try the box system and she was very excited to use it, because it was so simple. Thank you for this review I’ll definitely check it out and see if this is something for me. By the way did you do the DVD course just once or do ou already have a routine in place where you do it every morning or something like that? I imagine there was some market research done before hand as this is a global company. I also imagine it will be bigger in America than any where else. I did not try this but no lots who have dancing is not my thing but I have tried T25 and Insanity which blew me away I was fully covered in sweat. I’m really loving this Country Heat program right here. I want to lose some of this fat around my waist if possible. No Joke! I’m definitely getting old, and with me driving everywhere I go, this program could come in handy for me. And your detailed food advice is a plus!! I will be sure to pass this information on where ever I go.. Thanks.. Dancing will defiantly help you lose body fat, trying looking at your diet as well as this will have the most impact, 80% diet 20% exercise will get you the best results. Check out 21 day diet and if your looking for something more intense try focus t25 . Driving round all day will do that to you, try and make 30 mins at least 3 times a week for your self and you will see a difference. Wow. I never thought that country music can be use as workout music. I definitely have to check this DVD out. I know what you mean by music in the gym i have had my vibe to many times to count but if you love country music then you will love country heat. I guess I should be really interested in training physically but I am still on the mend from my neck surgery. I have gained at least 30 lbs from living a sedentery lifestyle. I am honestly contemplating going for walks. Walks always worked for me. Matter of fact, when I walked regularly, did some push ups, and Karate I was really fit. I can get back yo walking but the rest of my program will have to wait ’til my neck is fully fused. I never thought that country music would be something to work out to, but I guess people can get pretty swept away in some fast square dancing routines, eh! I know that you’ve stated that it is appealing to mostly women, but do you have any statistics on what couples feel about this workout together? Fantastic way to have fun as your lose weight. As a lover of country music, it makes me wonder where this was all along as I struggled to loss weight! It has another aspect of being significant as a way for a family to bond as they enjoyed music and had the benefit of weight loss, being for both young and old. It is true weight loss should be fun, not punitive and be something everybody should enjoy doing. Am a candidate for weight loss, so firing up my metabolism is an awesome idea,as I have fun with country music. 1. Is it available on DVD only, or I can get it as a downloadable digital copy? 3. How suitable is it for kids under the age of 10? I was just thinking about this tonight. Having a work out routine and plan that works for you is very important. Giving that many of us have time restraints. But you just have to get those workouts in. So having something like this is great. Nice to see that it has an eating plan too. That can be the most important part for some of us. I would get into something like this, but I’m skinny as it is and I’m looking to gain weight and muscle, but I also love cardio and this looks like it could be fun. Recognize this from TV. Remembered Shaun T the second I saw the name of the product. This looks like so much fun! I love that you provided a video and that there are men dancing in the video too. Is this new direction that beach body i going in less extreme than P90X and Insanity? I am asking because although being a fitness professional myself, I pushed too hard and injured my shoulder several years back while doing Insanity. I ultimately concluded that such extreme zero to 60 exercise was too much for me and frankly most other people. Does this seem like a more fitness-is-fun, healthier approach to fitness to you in comparison? Oh how I wish I had Autumn’s abs. After baby number four, my abdomen is meh. Beach body I’ve been told results in a great body if you stick to it. I might just try it this time around. Music makes exercise fun and sharing it with someone or a group of people is even better. It’s good to hear that the choreography is not complicated because I have two left legs when it comes to dancing. Seems like an interesting workout. I can understand that men may not feel like this is for them. However, women often enjoy a good dance workout. Beach Body does provide a lot of great workout videos, so I’m not surprised to see another one. The key is sticking to it. If the video captures an audience that enjoys that kind of music and those dance moves, then they are likely to see results, assuming that the diet is appropriate. Great review, I’d consider getting this and giving it a try. Thanks. With all BeachBody DVD’s there is a money back guarantee, results will vary from person to person and from there starting weight but generally speaking yes you will see results. The diet is adequate, although a bit of a shock at first especially if your diet is very poor. I love smoothies and I love that they’re so easy to whip up a meal. I abhor cleaning and cooking and can totally wrangle a blender. I love the recipe with GARBANZO BEANS and BROCCOLI… what an amazing cool idea! I literally try to do ONE NEW THING every day on my diet because I’m so prone to being boring and having no variety and was just thinking of having a Garbanzo Bean salad today so maybe I’ll do your smoothie instead!! I AM trying to kick my metabolism up and lose weight so it sounds perfect. Great ideas on your site. You have a winner here with the Country Heat program,, Ohh.. Yeah. I want to lose some extra belly fat for sure. I am not a teenager any more, and sitting in front of my computer all day: I would need this precise program! I can see myself dancing in front of my screen instead! By the way, I wondered about the food advice, and how to use the container shown in the video. Can you tell me a bit more about that? Hey there, the containers are portion control, and the different colours hold different food such as veg, carbs etc. very interesting, i like that is full of explication, information and details. it helped me to understand some things and descover new ones. you are doing a great work. i will keep reading, because it gives me information that i need… i m trying to get my body nice and attractive again so i need all advices possible. I love to dance and right now I am into Zumba at the Gym. It’s somewhat fun! I use to do line dancing to country music a while back and the women at the gym are trying to get me involved in the Line dance class. I don’t know if I will though. This DVD you have reviewed is something I know people would like to do at home. I am sure it is a great workout! Zumba is great for weight loss and general fitness but its important to try new things you could be missing out on something you love and this way your body dont get used to doing the same thing over and over again. You can never be healthy enough, always good to have reviews on new products on the market, especially in this field. Seems like you have done a lot of research. MY girlfriend seems interested in something like this, I will show her the page and see what she thinks! Country Heat looks fun and even though I am not a big fan of country music, I think I would still enjoy this. Any type of music is fun and this looks fun and easy. 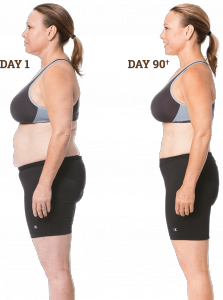 I especially like that you see results in 30days. This workout coupled with the 21-day fix (that I have been so tempted to try) is something I could see myself purchasing. I have tried other products from Beach Body and I believe they are very effective if used consistently, which is normally my downfall. Do you know when it will be released? I could certainly see myself trying this out. Dance seems to be the fitness craze right now. But Beach Body always does things right I think. I’ve done other beach Body workouts, and they’re all really good. I think the dance will be good, because I trust Beach Body. Thanks for bringing this new DVD to the forefront. How often is it recommended that you do the routines? Have you been doing it for a while? Let me know please. Well, if ever there was a favorite way for me to get some exercise and lose weight , it has to be dancing! I dont care if its country or western or hip hop , shag or swing I’m in! I’m not sure I care much about the shake powder, think I’d rather do my own shakin’. I wonder if Miley’s old dad is going to be on the playlist. Who? Billy Ray the king of bootscootin. Cant wait for the release. Keep me posted. Miley Cyres? sounds like you love to get down to some tunes this would be right up your street. I’ve been looking for a fitness dance video that would have easier moves to learn! Zumba is fun, but the moves can be a bit difficult at times! Country Heat literally sounds perfect to me because I live in Nashville, the city of (country) music! I can’t wait to get my hands on this! wow this is such a great find! i love that a high intensity work out and zero in on such a hugh niche market! i love country music and if i love the jams then I will totally work out harder! how long have you been following this lifestyle plan? Sounds like a good way to motivate and create movement to do something that tends to be so hard. Bottom line is making up you mind to do it then do it. If you can have fun at the same time, you are likely to keep it up. This seems like a really interesting video if you enjoy country music. I find it interesting as well that they’re going toward a more “family” oriented thematic material. Again, as you had stated about the obesity ratings going so high we definitely need more videos like this. I also really enjoy that this woman is responsive and not all in it for the money. You’ll have ot let me know more when you find more!! Never heard of Country Heat, but I have heard of Beach Body before. As I have done the T-25 series before and enjoyed them, but boy where they hard. I think, I would like a less intense workout, but still effective as T-25. This looks very interesting and upbeat. Thanks for the info. If you like to dance then this is right up your street, and although less intense dont be fooled that you wont recieve a good workout! I can understand how some people would prefer the higher intense workouts for getting in shape. There are a lot of us that are either too young or in my case to old to keep up and stay motivated for the high energy impact training dvds. I’d much rather have a routine that still works but is not quite so intense, and country heat sounds more like what I’d need to fit that bill. All the power to the super high intensity workout people but I’ll take something a little more on the tame side to keep the enjoyment in place. What to stay motivated, so I need to feel I’m keeping in pace. This seems like way more fun than going to the Gym, but then again for me, dancing has always been a choice way to exercise. You are so busy concentrating on the movements, you forget you are exercising. I like the look of the Country Heat Workout too that is aimed at getting the family to do something together. As a fitness professional I love the direction Beach Body are taking fitness and tackling “fat” family issues kids are more inclined to exercise if it doesn’t come across as exercise. I never even knew there was a dance workout for us country music fans. I do know it is true that just by moving more you can lose a lot of weight. I’ve tried other similar videos but wasn’t interested in the music and found it hard to move to it. I think the country music theme would be a perfect fit for me. Thanks for sharing this, I’m going to have to try it now. Stick your best denims and cowboy boots on Michael, Country Heat is sure going to help you lose weight. 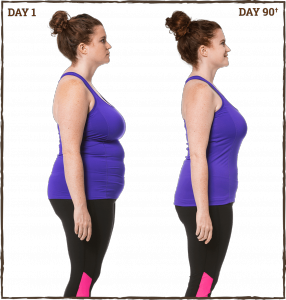 This looks pretty cool – it seems like fun following along with country songs to loose weight. I feel like I might actually want to do this as a work out as opposed to another pilates class haha – it seems like you really like beachbody – what other products would you recommend by them? I like Beach Body products because the represent great value, results driven and have the common over weight person in mind. I love beachbody and all their workout programs. I especially like Tony Horton and his approach in P90 P90x 22 Hard Corps etc. He is a pioneer of the industry. I prefer those workouts because they give me motivation and the ease to do them from the comfort of my home. I also love the diversity. They sound like snake oils salesmen but they are marketers after all, and their fitness programs are sound. Don’t know about their other products and supplements though.. Cassette time? cute memory that came tomind and a great urge to open the trunk of these magnificent music files. Country heat workout DVD is that it is an excellent combination of good music with a good fitness instructor. Thanks for offering this quality product. You think that will become the hit of the moment? I think so! Great article and it really got me thinking that this may be something I could start doing to get moving and lose some weight. I really like country music and even more the fact that I can do this in the privacy of my own home without those “judging eyes” at the gym. I have always been a big guy but also fairly fit, since getting older I have lost the fairly fit part and need something to help me jump-start back there. I am thinking this may be the thing that gets me restarted, so thank you for your article. Hi great music great fun I think this is the evolution of home fitness. Great content I also fit in how it fits best wanted to start right away. I’m so existed I mist the price for all the benefits, please enlighten me with a good price. Can it work for people with disabilities too. Like the health smoothies and I can even make it myself, just got to get that blender. You could be right that this is fitness evolution, sorry the price is not included as its not released yet but I will kepp you updated! I really love country music. I especially love listening in my car. It has such an upbeat, happy feel to it and it just makes you thankful for just being alive! A work out dvd based on country sounds like an awesome idea! Hopefully it is as good as it sounds. It is SO super fun!!!! and im not gonna lie……ive never sweat so much in my life! I workout HARD and the sweat this produces is unlike anything ive ever done! Its not weight based or anything but the cardio…….brings the HEAT! The simple truth is that if you move more and eat less you’re going to get results, and there’s so many options to get people moving. This new wave of products seems awesome because whether you’re a fan of country music or rap or even the salsa type music in something like Zumba, there’s ways to get moving and have fun. I’d be interested to know what kind of cardio this is, is it something like HIIT or more of a steady-state? agreed! I have done it and its definitely HIIT based! She allows you to really ramp up the heart rate and then slow down and the drip is INTENSE! Talk about cardio batman!